The Federal Aviation Administration’s Officer of Commercial Space Transportation has granted final approval for Midland International Airport’s launch-site license. Midland International Airport is the first airport with commercial service to be licensed as a spaceport. From this point on, it will be known as Midland International Air & Space Port. The license approval clears the way for XCOR Aerospace to begin its move to Midland from its current location in Mojave, California. Midland International Airport has already begun renovating a hangar facility for XCOR Aerospace, which will be ready for initial occupancy by April 2015. 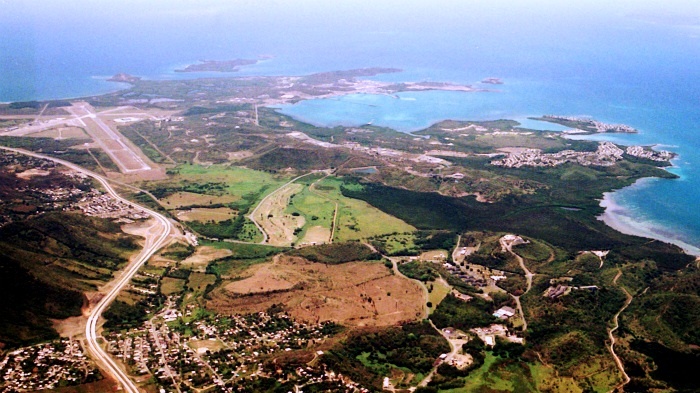 Director of airports Marv Esterly said, “The proximity of the airport to the spaceport allows us to take advantage of existing infrastructure, lowers cost to operators, and offers us a competitive advantage over operations at remote locations.” The spaceport business model is to start small and expand as needed while leveraging existing facilities to keep costs low. Over the next few years, Midland will work to adapt the current spaceport concept to accommodate other types of launch vehicles and the needs of aerospace companies as they arise. 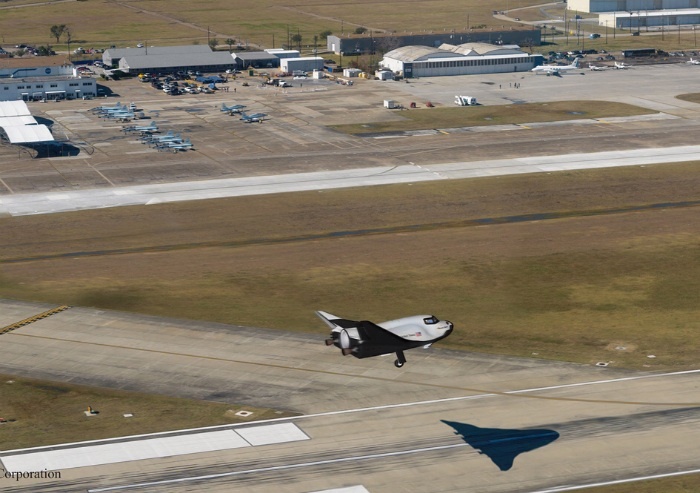 Sierra Nevada Corporation is investigating the possibility of using the proposed Houston Spaceport (at Ellington Airport, just north of Johnson Space Center) as a landing site for its Dream Chaser lifting-body spacecraft. A new promotional video for Spaceport Sweden, a proposed suborbital launch site 100 kilometers north of the Arctic Circle. A SpaceX launch site near Brownsville in South Texas is looking more likely, according to news reports. Spaceflight Now quotes SpaceX founder Elon Musk saying, “I think Texas is looking increasingly likely,” although the final go-ahead is still dependent on environmental and regulatory approval. According to Spaceflight Now, SpaceX believes it has enough business to justify four launch pads: two in Florida, and one each in Texas and California. 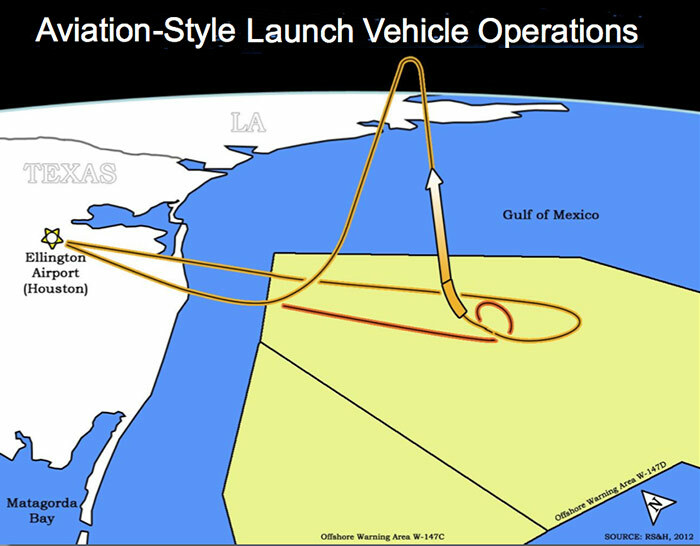 The Texas launch site would be dedicated to commercial launches, while NASA missions would continue to be launched out of Florida. SpaceX currently uses pad at Complex 40 at Cape Canaveral Air Force Station and is also bidding on Pad 39A, the former Apollo/Shuttle launch pad at NASA’s Kennedy Space Center. California is the site for polar launches (including military missions) from Vandenberg Air Force Base. SpaceX has nearly 50 missions scheduled over the five-year lease period it is seeking at Pad 39A. SpaceX believes this is sufficient to justify developing and maintaining four launch pads. This demand is based on both the Falcon 9 and proposed Falcon Heavy. An interesting question is now the reusable Falcon 9R, now in development, would affect these pad requirements. 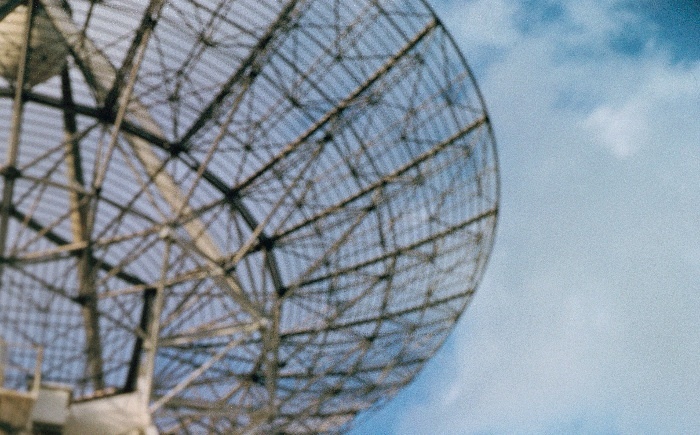 The answer to that question is unknown to us and, we suspect, probably unknown to SpaceX. Spaceport America will take out loans for $21 million to build visitor centers at the spaceport and in the town of Truth or Consequences, according to the Las Cruces Sun-News. The visitor centers are critical to the Spaceport Authority’s business model, which predicts 200,000 visitors per year (about 550 on an average day). The State of New Mexico included $15 million for visitor center construction in the spaceport’s $209 million budget appropriation two years ago. That money is no longer available, however, due to cost escalation (including the recent requirement to add a $7 million runway extension). The state Board of Finance has given the Spaceport Authority to seek private loans instead. The loans would be secured by mortgages against the visitor-center buildings. Commercial spaceflights from the proposed spaceport at Ellington Airport, near NASA’s Johnson Space Center, could begin by 2018, according to a planning document presented by the Houston Airport System. 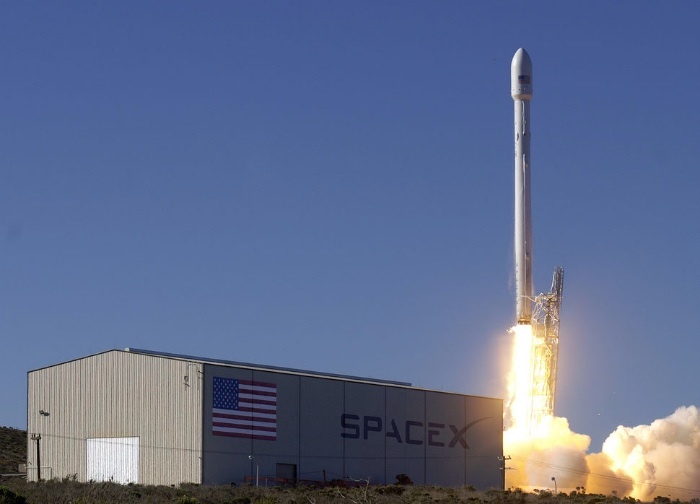 A research and business park could be operation by 2016, with visiting flights by space launch systems beginning in 2018 and Ellington-based spaceflight operations in 2020. The timeline appeared in a July 2013 presentation to the Houston City Council by Houston Airport System director of aviation Mario Diaz and senior executive for business development Arturo Machuca. Ellington Airport, located near Johnson Space Center, just south of Houston, could become the nation’s ninth licensed commercial spaceport. The Houston Airport System unveiled part of its vision for the future of Ellington Airport today. 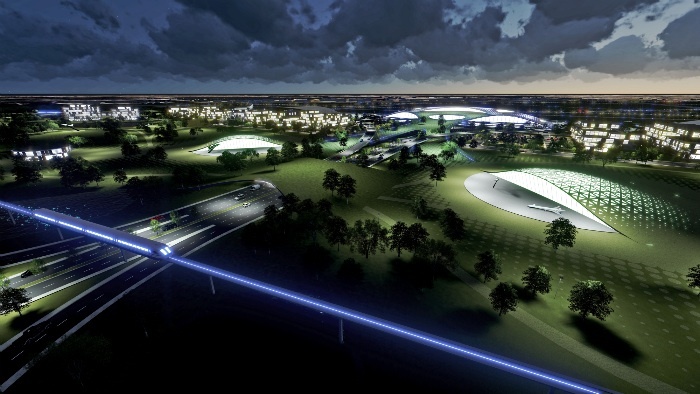 Conceptual renderings of a possible Spaceport have been released to the public. 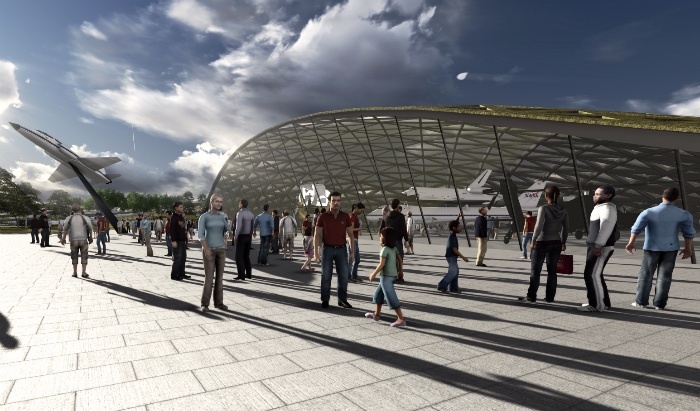 Renderings show a terminal facility, an aviation museum and accompanying aerospace industries. The unveiling occurred as the City of Houston prepared to host the annual meeting of the Commercial Space Federation. Houston City Council members agreed with that assessment on July 17, 2013, when they voiced their overwhelming support for the pursuit of Spaceport licensing at Ellington Airport. If the required license is secured, the Houston Airport System could move forward to establish the infrastructure and support facilities needed to accommodate enterprises such as component and composite fabrication, space-vehicle assembly, launching of micro-satellites, astronaut training, zero-gravity experimentation and space tourism. The launches proposed for Ellington Airport would be limited to horizontal takeoff reusable spacecraft. Since receiving City Council approval, the Houston Airport System has been working through the countless details associated with the project. California State Senator Steven Knight (the son of X-15 pilot Pete Knight) has introduced a bill that grants a sales-tax exemption for spaceflight equipment and materials. The bill, which has been endorsed by the American Insitute of Aeronautics and Astronautics, is intended to improve California’s business requirement, which has caused companies such as Raytheon Space and Airborne Systems and XCOR Aerospace to leave California. Whether it will be sufficient remains to be seen. The Houston Airport System is officially moving ahead with plans to turn Ellington Airport, near NASA’s Johnson Space Center, into an FAA-licensed commercial spaceport, according to statements by airport system director Mario Diaz as reported by the Houston Chronicle and ABC Channel 13. Diaz made his remarks during a State of the Airports address before the Greater Houston Partnership. “Space… just happens to be our next destination,” Diaz said. The Houston Airport System has completed a feasibility study that estimates it would cost $48-122 million to turn Ellington into a spaceport for suborbital spacecraft. An FAA license could be obtained in as little as 15-18 months, Diaz believes. The Ellington Spaceport would be “a cluster of aviation and aerospace companies can flourish and where Houston can again step forward to lead the nation in the transition from a federal to a commercial space program.” Diaz suggested that Ellington Spaceport might be a site for spacecraft manufacturing as well as operations. Virgin Galactic was mentioned as a possible customer for the spaceport. XCOR Aerospace, which was not mentioned, plans to move its research-and-development headquarters and corporate to Midland, Texas later this year. Although XCOR plans to conduct R&D flights out of Midland, it does not have current plans for commercial service out of that facility. Basing on XCOR Lynx at Ellington field would provide scientists and citizen space explorers with good views of the Gulf of Mexico. 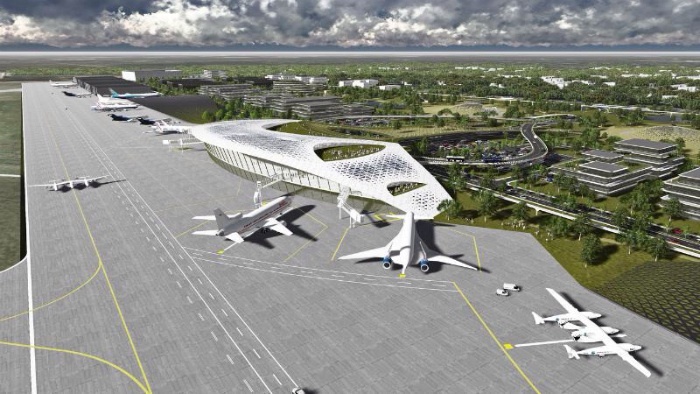 A group of New Mexico legislators led by Sen. John Arthur Smith (D-Demming) is warning that the $200-million Spaceport America “could become a ghost town, with tumbleweeds crossing the runways” if critical liability legislation is not passed. The New Mexico legislature has passed a liability law that protects space-transportation operators such as Virgin Galactic, but the bill does not cover vehicle manufacturers and part suppliers. That omission puts New Mexico “at a terrible disadvantage” relative to Texas, Colorado, Florida, and Virginia, Smith said. Southern Georgia has joined the rapidly growing list of potential commercial spaceports sites. The Camden County Joint Development Authority announced today that its board has voted to explore the development of an “Aero-Spaceport” on land currently owned by Union Carbide Corporation and formerly leased to Bayer CropScience. In addition to functioning as a spaceport, the project would allow the city of St. Marys to relocate the existing St. Marys Municipal Airport away from Naval Submarine Base Kings Bay, the largest employer in the region. Senior Navy officials have stated that the existing airport poses safety and security concerns. The proposed Aero-Spaceport site includes more than 4,000 acres of land, a small private airfield, and a rocket-engine testing facility that was used during the Apollo program. Saturn rocket engines were shipped to the site by barge along the adjoining Intracoastal Waterway. The Georgia Department of Economic Development has been exploring the market potential of a commercial spaceport at the site and reports “significant industry interest.” The proposed spaceport would accommodate both horizontal and vertical launches. Horizontal-launch vehicles would share dual-use facilities with the new airport. If the project receives the necessary funding and regulatory approval, construction could begin as early as 2014. 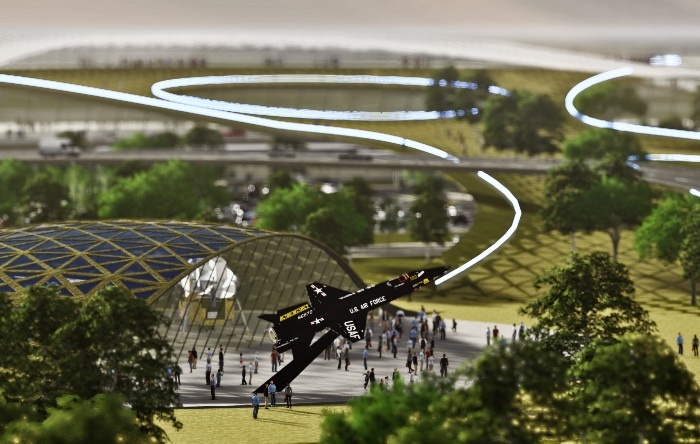 Initial Aero-Spaceport operations could begin in late 2014 or early 2015. Space Florida, the state’s spaceport authority and aerospace economic development organization, and NanoRacks LLC have announced the Space Florida International Space Station Research Competition. NanoRacks will provide up to eight Payload Box Units (NanoLabs). Space Florida will cover the costs of payload transportation to ISS for eight winning applicants. An independent team of judges will review research proposals based on commercial viability and overall benefit to mankind. 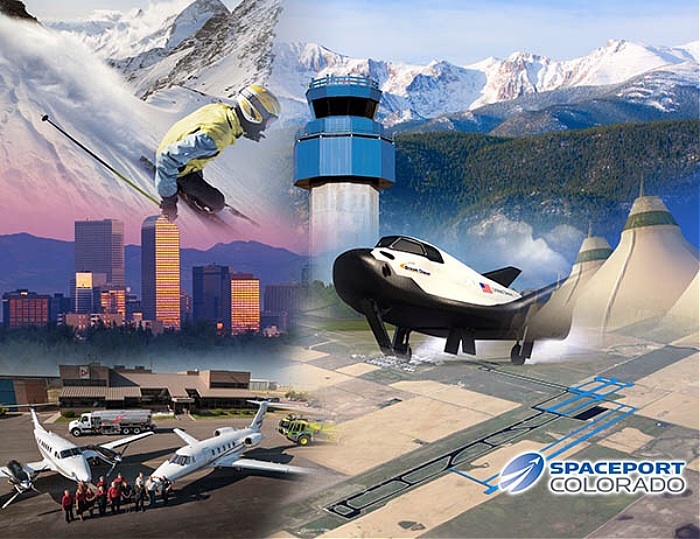 The Midland Reporter-Telegram reports that Midland International Airport is making progress on the FAA spaceport licensing process, in preparation for XCOR Aerospace’s upcoming move to Texas. According to the Reporter-Telegram, the Midland City Council has amended a contract with engineering consulting firm Parkhill, Smith, and Cooper to cover work on the launch-site license application including an environmental assessment, a baseline noise study, and a sonic-boom analysis. Launch-site licensing for reusable vehicles is a relatively new area for the FAA, despite previous successful launch-site applications beginning with Mojave Air and Space Port. Midland is also breaking new ground by being the first to establish a spaceport at commercial airport with scheduled passenger airline service. Licensing expenses of this magnitude are tolerable in the context of a major corporate R&D center, such as the one XCOR is planning for Midland. That may not always be true for future launch sites, however. If suborbital vehicles proliferate as rapidly as both industry and FAA are hoping, there may soon be dozens of launch sites, all over the country. Some may be bustling commercial spaceports, but others may be special-purpose sites that support a limited number of launches for a period of time. We’re not talking about the migration of humans from Earth into space, although we are optimistic that will begin in earnest in the next few years. We’re talking about the migration of commercial space companies from one part of the United States to another. In July, XCOR Aerospace announced the relocation of its main research and development operation to Midland, Texas. Next week, XCOR is expected to make another announcement. Although the official statement won’t come until August 23, word is already out on the street that XCOR will announce the development of an engine and vehicle production facility in Florida. XCOR will retain some operations at Mojave Air and Space Port, in the high desert of California where the company was born. It will probably continue to base a Lynx suborbital spaceship there for the foreseeable future, to provide a launch site for West Coast missions. The company’s main focus, however, is clearly shifting to other states. 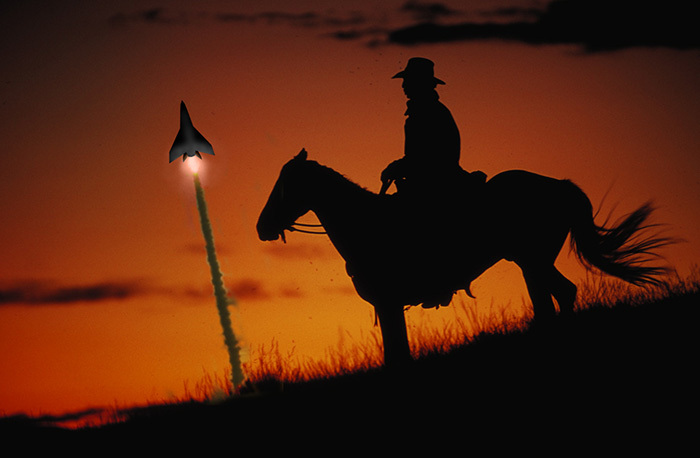 Some observers may question the sudden expansion of XCOR into not one, but two new states. The move makes sense, however. Locating R&D and production facilities in two separate states will minimize the possibility of R&D activities randomizing the assembly line. It’s also worth noting that Masten Space Systems has a signed contract with Space Florida to begin flying its VTVL rocketship at Cape Canaveral Air Force Station. At the moment, the agreement calls for nothing more than demonstration flights, but that could change in the future. Space Florida officials expect XCOR to create 152 new jobs in Florida. They are no doubt keeping a close eye on Masten. If they see similar potential for growth, it’s reasonable to expect that they will make a push for that company as well. 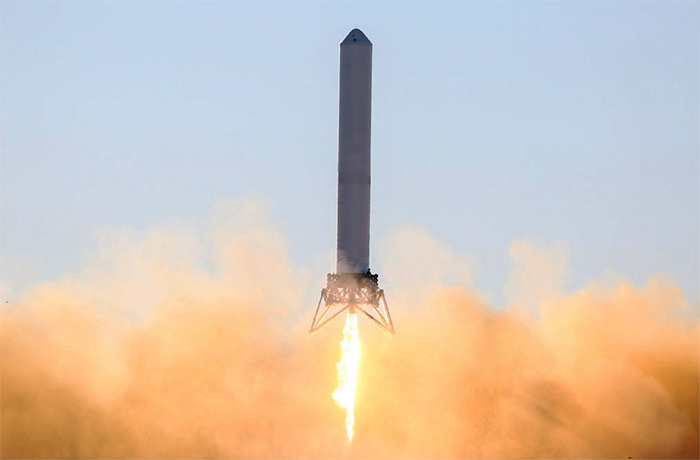 Meanwhile, Space Exploration Technologies (SpaceX) is looking to expand operations in Texas, both at its McGregor testing facility near Waco and a proposed new launch site in South Texas. All of these moves have one common denominator: they are away from California. While other states are dangling incentives in front of emerging space companies, California has elected to incentivize trial lawyers instead. States such as Texas have passed bills to protect commercial spaceflight operators from potentially crippling lawsuits, but a bill introduced in the California legislature was watered down to the point of meaninglessness. It appears that California has decided to export aerospace jobs. If anyone is curious about XCOR Aerospace’s new home in Texas and looking for an excuse to visit Midland, there’s one coming up this fall. Midland is home base for the Commemorative Air Force and the CAF Airpower Museum, which maintains the largest World War II military collection in private hands today. The annual CAF Airsho is considered to be the best World War II warbird show in the country. This video from a couple years ago shows some of the highlights from the show. In case anyone is wondering, we’ve been informed that XCOR Aerospace will not participate in this year’s show. They were invited but they’re too busy building the Lynx. You are currently browsing the archives for the Spaceports category.